In MLB The Show 19, like in previous seasons, you have a ton of control over how editable players can appear and act on the diamond. Here’s how to edit and change batting stances, pitching motions and wind-ups in MLB The Show 19. While certain aspects of The Show has waxed and waned throughout the years, one thing that has been pretty consistent is the sheer amount of options players have to customize editable players such as their Road to the Show and Diamond Dynasty players. However, you can even go as far as editing the stance of current MLB players in franchise too. Let’s go over the different ways. When you create your character for the first time, you’ll have the opportunity to edit everything about your player including their batting stance or wind up motion. Simply move through the prompts while creating your character and select the one you want. Easy enough. 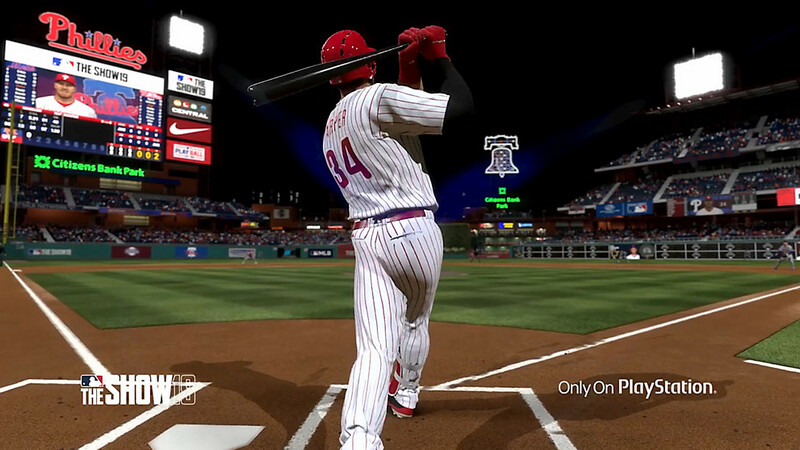 If you want to change it at any point after this, go to Home on the RTTS screen and then go to Customize. From there, go to Unlocked Animations and Audio, and you can edit your character’s batting stance and pitching motion from whatever you have available to you. Through Diamond Dynasty you’ll unlock lots of different animations that you’ll want to take advantage of in your created player. You can do this easily by going to the My Squad section of DD and then going to Created Player. From there, the first option that will pop up is Create & Edit player. Jump in there, and you’ll have access to all of the animation options you had when you first created your player. Also, from that same Create & Edit player menu, you can access all your unlockable animations that you’ll get from completing programs by selecting Unlockable Animations, which is right below equipment. Finally, you can edit any player you want in Franchise mode, including current MLB players. All you need to do is go to your Roster (not lineup), and then select a player with X. This will bring up a menu which will contain the Edit Player option. From there you can customize everything from Batting Stance to Pitching Motions. That does it for how to change batting stance and pitching animations. For more on MLB The Show 19, such has how to get Stubs fast and easy or our scored review on the latest game in the long running baseball series, search Twinfinite.